Here’s the first part of my collection for my lingerie course that I am doing – I feel very grown up and professional saying ‘collection’! 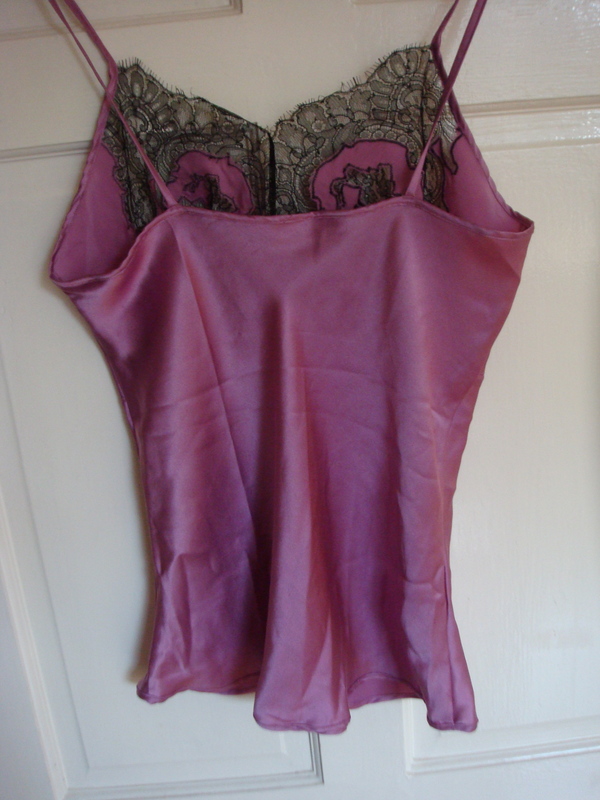 It’s a bias cut camisole made from lilac silk satin, edged with bias binding on the hem and the top edges. 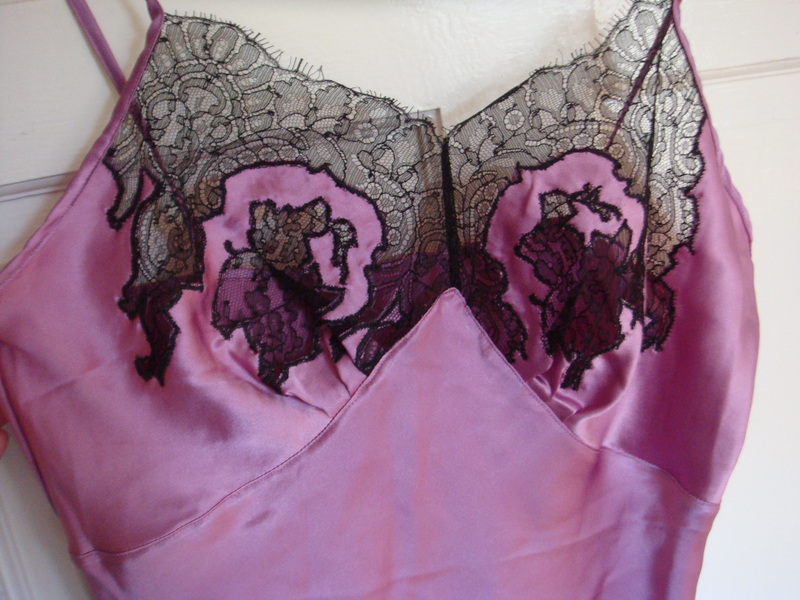 With simple gathers at the bust and French Chantilly lace appliqued to the cups. This is made up in a UK size 14.